Home / How to / Advantages disadvantages of using Proxy vs VPN vs TOR vs TOR and VPN together. Internet is a huge and gravely important part of our life these days. It is not anymore so simple “I will find your IP address (and DoS you)” and thus anonymity has became more complex as surveillance became more probing than ever. As more and more things are connected to the ‘Web’, you can potentially expose more info, exploit more, protect more or plunder more than ever. 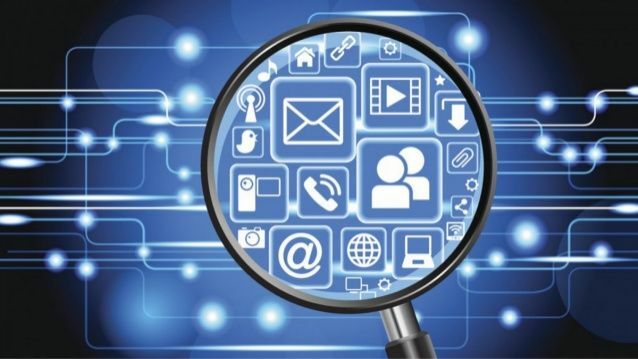 It is very important to be able to monitor and surveillance effectively and at the same time it is very important to be able to bypass surveillance and monitoring. Why, that’s an entirely different philosophical discussion and I will simply leave that to the users imagination. 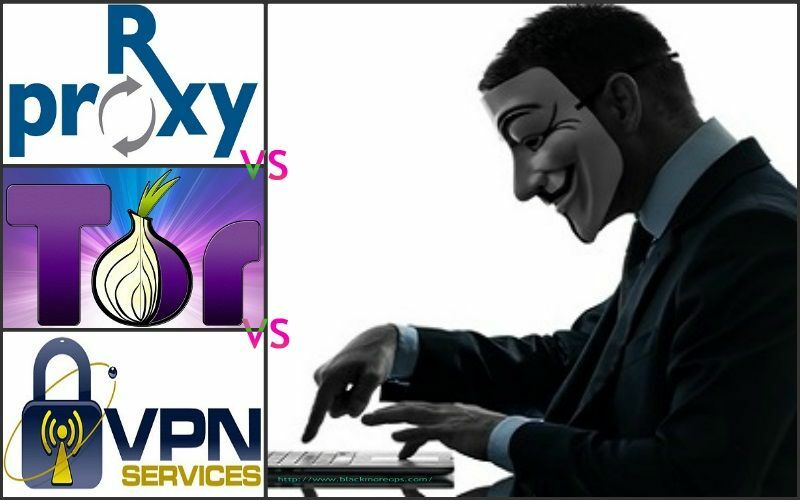 Understanding Proxy vs VPN vs TOR vs TOR and VPN together is important as these are main methods used for anonymity. If you are wondering how you can browse the web anonymously, you will be happy to know that there are numerous different methods guaranteeing that nobody is ever going to track you down and threaten you digitally. However, not all of these methods are equally effective and qualitative and this is what has led us in this article. 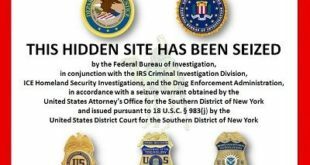 This article will benefit you greatly if you are a mafia Whistle-blower, or a dissident living under regime in which it would be very dangerous to be caught performing certain activity (such as writing political blogs) and such. A proxy directs your traffic via another computer instead of your own. While there are public and private proxy servers, only private proxies, usually paid, provide any type of stability or reliability. A SOCKS server is a general purpose proxy server that establishes a TCP connection to another server on behalf of a client, then routes all the traffic back and forth between the client and the server. It works for any kind of network protocol on any port. SOCKS Version 5 adds additional support for security and UDP. The SOCKS server does not interpret the network traffic between client and server in any way, and is often used because clients are behind a firewall and are not permitted to establish TCP connections to servers outside the firewall unless they do it through the SOCKS server. Most web browsers for example can be configured to talk to a web server via a SOCKS server. Because the client must first make a connection to the SOCKS server and tell it the host it wants to connect to, the client must be “SOCKS enabled.” On Windows, it is possible to “shim” the TCP stack so that all client software is SOCKS enabled. A free SOCKS shim is available from Hummingbird at http://www.hummingbird.com/products/nc/socks/index.html. Proxies are like a Web Filter. The proxy settings are applied to your internet browser whether you’re using MSIE, Chrome, Safari, Firefox, etc. When browsing the internet through a proxy server, all benefits with that server are used, for example, (Security, Speed, and Geographic Location). 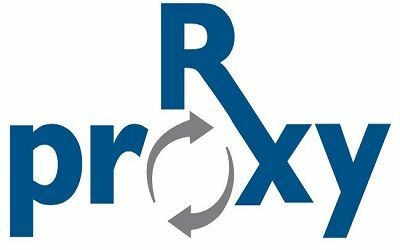 The proxy will only secure traffic via the internet browser using the proxy server settings. The primary proxy protocols in use today are SOCKS and HTTP/HTTPS. SOCKS and HTTP proxies provide no encryption, whereas HTTPS proxies offer the same level of encryption as any SSL website. Proxies were not designed to protect all of your Internet traffic, usually only the browser. Many proxies pass the user’s original IP address to the destination site, making them unsuitable for security or privacy conscious users. Proxies must be configured separately for each application (email, browser, third-party apps) and some applications may not support them. 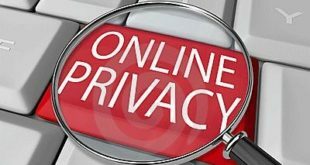 The VPN provider can see your internet activity – and in many countries is required by law to keep records of it, which may be handed over to the authorities or to copyright lawyers. Tor is free software for enabling anonymous communication. The name is an acronym derived from the original software project name The Onion Router. 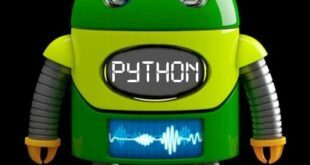 Tor directs Internet traffic through a free, worldwide, volunteer network consisting of more than six thousand relays to conceal a user’s location and usage from anyone conducting network surveillance or traffic analysis. 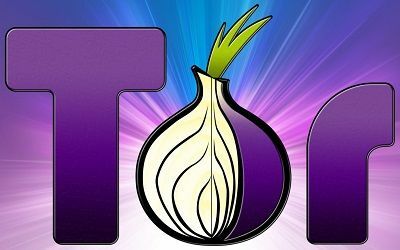 Using Tor makes it more difficult for Internet activity to be traced back to the user: this includes “visits to Web sites, online posts, instant messages, and other communication forms”. Tor’s use is intended to protect the personal privacy of users, as well as their freedom and ability to conduct confidential communication by keeping their Internet activities from being monitored. Onion routing is implemented by encryption in the application layer of a communication protocol stack, nested like the layers of an onion. Tor encrypts the data, including the destination IP address, multiple times and sends it through a virtual circuit comprising successive, randomly selected Tor relays. Each relay decrypts a layer of encryption to reveal only the next relay in the circuit in order to pass the remaining encrypted data on to it. The final relay decrypts the innermost layer of encryption and sends the original data to its destination without revealing, or even knowing, the source IP address. Because the routing of the communication is partly concealed at every hop in the Tor circuit, this method eliminates any single point at which the communicating peers can be determined through network surveillance that relies upon knowing its source and destination. It is a decentralized system that allows users to connect through a network of relays rather than making a direct connection. 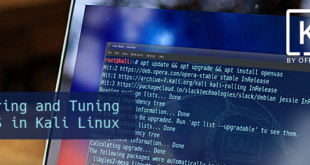 The benefit of this method is that your IP address is hidden from the sites you visit by bouncing your connection from server to server at random, in essence, losing the trail. Very slow – because your data is randomly bounced through a number of nodes, each of which could be anywhere in the world, using Tor can be painfully slow. Not suitable for P2P filesharing – while there is no way to stop you from using BitTorrent over Tor (and people do it) it is a) very slow, and b) very bad form as it slows down the entire network for every other user, for some of whom access to the internet via Tor may be of critical and possibly life threatening importance. While it can, at a pinch, be used for location spoofing, Tor is a very fiddly and inefficient way to go about it. In addition to this, the slowness of Tor means that using the service to stream geo-restricted media services is unfeasible. The great advantage of Tor is that you do not need to trust anyone – your internet use is completely anonymised. However it is very slow, and largely as a consequence of this, it is not suitable for many of the most popular activities people want to use VPN for, such as filesharing and streaming geo-restricted media content. This is what happens when you use the Tor Browser (less safe) or Whonix (more safe) while connected to a VPN server, and means that your apparent IP on the internet is that of the Tor exit node. If your traffic is being monitored by a malicious Tor exit node then it less likely that your VPN provider will keep logs than your ISP. It therefore provides an additional level of privacy, but not anonymity. A malicious Tor exit node will still be able to monitor your internet activity and trace it back to your VPN provider. Good VPN providers promise to keep no logs of users’ activities, and use shared IP addresses. If these promises are kept then this will provide a very effective second layer of protection, but it does rely entirely on trusting your VPN provider (as does regular VPN use). So basically, this configuration hides Tor use from your ISP, and if using a trustworthy logless VPN service can provide a meaningful extra layer of security. Unfortunately there is no way of ever guaranteeing that a VPN provider is 100 per cent trustworthy, and even the best of them can be compelled by a subpoena or court order to start real-time logging of an individual’s actions (although this would require that law enforcement is actively seeking that individual). Journalist and whistleblowers who are only concerned about law enforcement in their own country, and are not facing an adversary with an international reach, should find this setup very effective if using an overseas VPN provider, but should remember that some governments are not above taking extra-legal measures to obtain the information they want. This setup requires you to configure your VPN client to work with Tor, and the only VPN providers we know of to support this are the excellent AirVPN and BolehVPN. Your apparent IP on the internet is that of the VPN server. 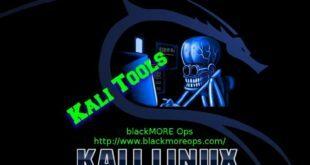 Because you connect to the VPN server through Tor, the VPN provider cannot ‘see’ your real IP address – only that of the Tor exit node. When combined with an anonymous payment method (such as properly mixed Bitcoins) made anonymously over Tor, this means the VPN provider has no way of identifying you, even if it did keep logs. Protection from malicious Tor exit nodes, as data is encrypted by the VPN client before entering (and exiting) the Tor network (although the data is encrypted, your ISP will be able to see that it is heading towards a Tor node). Bypasses any blocks on Tor exit nodes. Allows you to choose server location (great for geo-spoofing). None really, apart from the speed hit, and that setup can be a little more complex. Slightly more vulnerable to global end-to-end timing attack. 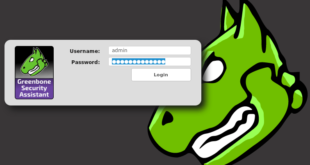 To access Tor hidden services you need to run the Tor browser. This introduces yet another layer of obfuscation, but will slow the connection down even further. 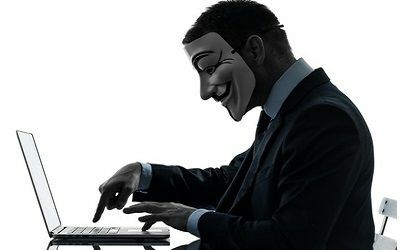 Having all that in mind, if you are a mafia Whistle-blower, or a dissident living under regime in which it would be very dangerous to be caught performing certain activity (such as writing political blogs), then VPN through Tor is the ultimate safest solution as at that point you are almost certainly going via solid encryption and will help you browse the web absolutely anonymously. Yes, Even it means you need to spend a few coins more, the result you get will be stellar and it is worth it! Just remember that there is no such thing as a 100% guarantee of anonymity, whichever route you take. 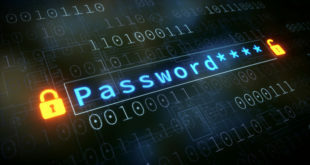 There are always, at least potentially, loopholes in any security arrangement, and individuals often give their true identifies away through patterns of behaviors such browsing pattern, super cookies, unguarded comments made while on-line, or any other number of simple and not-so-simple mistakes. But as far as I’ve researched, there’s no match for VPN through Tor at this point. I personally use PrivateInternetAccess for VPN service as they are yet to be proven otherwise. Instruction for setting up PIA can be found here. Do you think otherwise? Let us know via comment section. I use proxysites AND a VPN service. Web proxies are free and most VPN providers are not. But aVPN is a lot safer though. If you can afford it you should go for a VPN. I have always about TOR and VPN combinations. Thanks you so much for the information! How is Disconnect in comparison to other vpns? Great write up. Agree with AirVPN being truly awesome. I spent a great deal of time researching different VPN options, and AirVPN looked the best that was available at the time (they had a single connection per client limit back in the days, but you can have up to 3 devices connected now). As for TOR, I really tend to avoid it as it’s so painfully slow. I always considered VPN through TOR to be the best. The article, however throws in a curve here…it says, first you connect to TOR, then through a VPN server to the internet. Yet the flowchart below this statement that shows, “Your computer -> encrypt with VPN -> Tor -> VPN -> internet”. To me that means, you connect to the VPN first, then TOR, then to the VPN again? Can you do that with airvpn? Can you do that with ANY VPN? lte modem can be pinpointed to the room of your house. triangulation. I started using some free proxies years ago but then decided to switch to a good VPN. The main reason was the diversified country IPs I needed as well as fast speed. Since 2-3 years, I am using PureVPN and stop using free proxies becasue with proxies there is a risk of virus/malware on your device plus the speed gets slow. 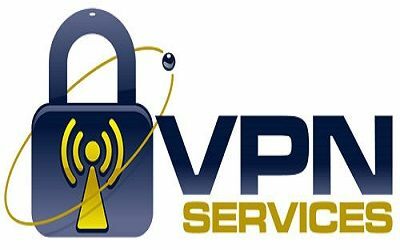 With VPN I feel more protected due to the high level encryption with fast connection speeds and with thousands of IPs in hundreds of countries. My experience with VPN especially PureVPN is really good so don’t want to go for proxy or Tor. Very very very nice article, thanks a lot.